Writing a business plan is critical to launching a startup business. It allows you to clearly set out your business idea, set goals and measure progress against those goals. You might be interested in the top 3 pieces of advice for new startups that we heard from fellow entrepreneurs. 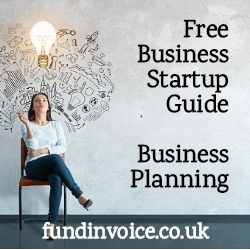 A business plan is a written document that sets out the objectives and strategy for your business venture, covering areas such as strategy, sales and marketing, financials and operational considerations. Typically, it will look forward across the next 1 to 3 years, sometimes 5 years. Often the first year may have more detailed financials with higher level figures for future years. It is best kept concise, with any detailed information, such as in-depth financials, CVs and product information in an appendix at the back. Number the pages and bind it within a cover to make it look professional. The plan can be used for different purposes, and so different versions of the same plan may be prepared and tailored for different audiences. For example you and your management team may want the plan as a touchstone to building your business, and as something to measure progress against. If you are raising finance, you may also need a version of the plan to present to investors and banks, in order to secure startup funding. If you are, for example, trying to present the plan to investors for the purpose of raising finance, consider their perspective whan you construct that version of the plan. Investors are likely to be focused on projected returns, amount of capital required and the degree of risk involved with the proposition. You can seek to address these issues from their point of view, in order to bring them on side, and secure the funding that you need. The plan should cover the following areas. The most important part of the business plan structure is the "Executive Summary". This should be at front. The executive summary should summarise the key aspects of your plan into a very concise form. Someone reading just the exec summary should get the main points from your plan. This section is where you give the background to your business and the ownership structure. It should set out your business idea and the products and services that you intend to offer. Here you should detail, and size, the market that you are chasing and the particular market segments that you are going to target. Identify who your key competitors are and how their offerings compare with yours. Detail your sales and marketing approach. This should identify the USPs (unique selling points) of your offering, and your pricing policy. Focus on why customers would choose your offering over your competitors. You should set out how you are going to promote your offering to your target market segments, and what trends are affecting the channels that you are intending to use. Product - what are you promoting. Price - what is your pricing strategy. Promotion - how will it be promoted e.g. direct marketing (telemarketing or mailshots), advertising, PR or social media, for instance. Place - where will it be promoted e.g. online, or in particular store concessions, for example. How is your sales function going to structured? Will you have a dedicated sales force, or will you be using a third party network or even an online sign up process. Set out the key management roles within your business, and the staff required. You should include your recruitment plan to attract any workforce that is required. Detail any premises that you require, how production will be structured and the management information that will ensure smooth running of your operations. Profitability - clearly identify when your venture is expected to become profitable. Capital expenditure, and investment that is required. Your profit and loss account projections for each year. Your projected balance sheet at the end of each year. Related article - The Difference Between Cash Flow And Profits. The effect of sales forecasts being over or under by say 20%. The effect of a increase in operations or staffing costs. Detailed figures may be added to the appendix. The summary is more detailed than the executive summary, but gives the opportunity to pull together, and summarise your plan in greater detail. As mentioned above, this is where you can include any detailed information that underpins you plan. For examples you might have detailed financials or lists of assumptions that your projections are based upon. You may want to include the CV's of your prime movers or more detailed information about the products and services that you are going to offer.